Bellew: Haye Will Always Be an Assh*le, I'm Coming To End Him! According to Tony Bellew (29-2-1, 19 KOs), he is on a mission to put the final nail in the coffin of the career of former two division champion David Haye (28-3, 26 KOs). The two domestic rivals will collide at the O2 Arena on December 17, live on Sky Sports Box Office. 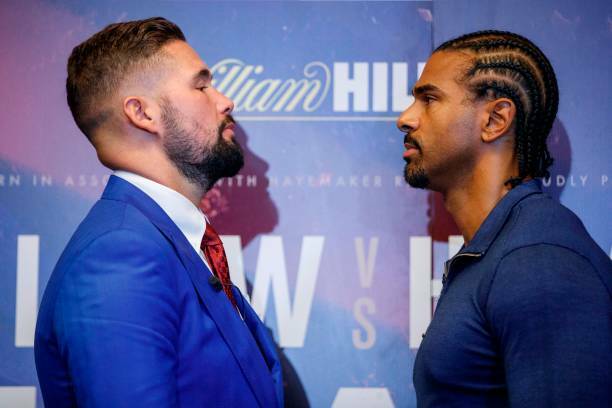 The two met back in March, with Bellew dropping the WBC cruiserweight title and heading up to the heavyweight division to face Haye in a very anticipated grudge match. Bellew was a huge underdog in the contest, but he shocked the sport when he walked away with a TKO victory in eleven rounds. Haye was doing very well in the fight - until his Achilles burst and he became a one-legged fighter - and a sitting duck for Bellew's punches. While they embraced after the fight, the bad blood has returned. After Haye lost, many expected him to retire - including Bellew. Haye announced that he was fighting forward and targeted a rematch with Bellew. Now the deal is done, and Bellew took the contest for two reasons - the money and the opportunity to retire Haye. “David Haye will always be an assh*le, he’s always going to be an idiot who rubs people up the wrong way, but love him or loathe him, they will tune in to watch him. He’s still a brilliant fighter, who’s very very powerful. If he hits me clean with that right hand, I’m going to go down. I’m going to get up but make no mistake. But that coin has another side, and I can do the exact same to him. The thing with me is, I’m a realist and not a fantasist," Bellew said. We just wont know untill maybe the media training session the wk of the fight how Haye has held up,a fully fit and switched on Haye wins.No doubt. Bellew couldn't even finish a 1 legged Haye, Haye fell over, Bellew didn't even land anything when Haye went down.